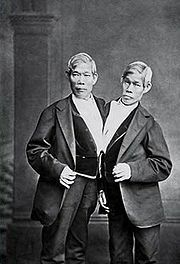 The term Siamese twins originated with Chang and Eng who were born in Siam and settled in North Carolina after their world travels. Their fused liver is in the Mutter Museum in Philadelphia. The description beneath it says “Chang made the greater physical accommodation and developed a definite curvature of the spine. He was a heavy drinker with a bad temper. Eng was placid and easy going.” It makes a lot of sense that Chang had more pain from making the greater physical sacrifice and was resentful perhaps self medicating with alcohol. This is a great image with which to understand codependency. Codependency has become a cultural phenomena, way beyond relationships with addicts. Daughters are codependent with mentally ill mothers, sons with fathers who won’t let go and insist on adherence to their own value systems. Sadly enough, the ultimate outcome of codependency is the damage done by a lack of respect in these relationships. 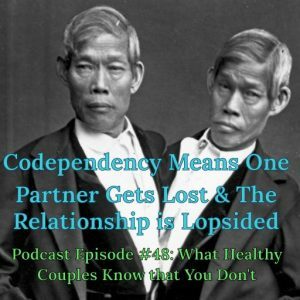 Codependency is about being unhappily enmeshed with someone else’s agenda. One example would be the wife who is a martyr to an alcoholic husband. He numbs his anxiety/dread with the obliviousness of drinking and she is in hyper drive by controlling all the details of living that he ignores. So she becomes entitled and self righteous with all her vigilance. It’s important to recognize that interrupting codependent behavior requires that you define yourself and your wants. So many people scramble to fill the empty hole within by focusing on the care taking of others while ignoring themselves. So where does someone begin, to build their own identity? Fill the emptiness with more and more layers of authenticity. Risk disagreement, which makes things more interesting. Practice the truth with your therapist or your best friend. Stop swallowing your real opinions, choose when to go along, instead of always being a pushover. Growing up is learning to move from external supports to creating true internal strength. Determine your own curiosities as a beginning to learning more about your own wants. Understand the differences between yourself and someone else (whether it is mother, lover, sister, or best friend). 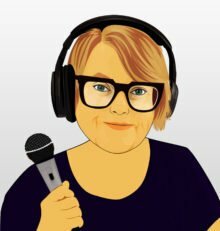 Speak up and make sure you are one of the balls you juggle in life, instead of leaving yourself out. Healthy conflict is not a betrayal of trust and niceness as is so often believed in this culture. Healthy conflict keeps dialogue intact and trust can build based on a more real relationship. The work of understanding differences is worth it. Your parents can offer opinions about a boyfriend but the choice to continue to date should not be theirs. they’ve married the same problems that seemed so different to begin with. Ultimately, people who are codependent have done themselves the greatest injustice by losing track of who they are. Pay attention to being annoyed. Underneath feeling grumpy is a buried want that you are ignoring and swallowing too easily. Speak up to undo the legacy of codependency. Chang wanted to be seperated and Eng didn’t. Separations don’t have to mean divorce, especially in a codependent relationship. Separation can be the flip side of enmeshment that provides two people to find themselves again. Who are they separate from the relationship? Then they can better return to the relationship with a healthier sense of self. 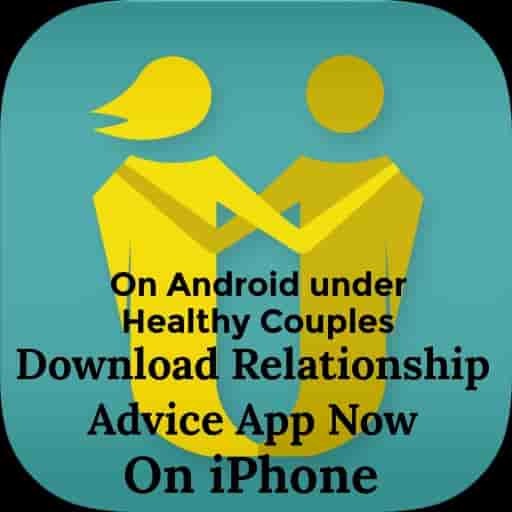 Every couple has to decide it’s own formula to balance both dependency and independence. The movie Heavy is about an obese, anxious man who had been in a codependent relationship with his mother. His world has become strangled by his fear. It clearly shows how it is possible to be independent and make your world bigger, no matter how scary a proposition that may be, because you are codependent.